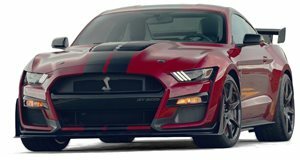 According to Car and Driver, several sources at Ford are claiming the automaker is seriously considering a plan to give its F-150 Raptor a serious power upgrade: the Mustang GT500’s 5.2-liter supercharged V8. 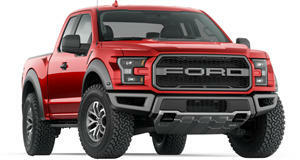 If the plan is approved, this ultimate Raptor will serve as a final sendoff for the current generation truck, which is due to be replaced by 2022. With more than 700 hp on tap, this V8 would also give today’s Raptor a soundtrack that’s not possible with the current 450 hp 3.5-liter twin-turbo V6. Assuming Ford proceeds with the plan, and we don’t see any reason why it wouldn’t, expect to see the V8 coupled to the 10-speed automatic transmission Ford jointly developed with GM. Remember, this is the same slushbox used to distribute the Camaro ZL1’s 650 hp to its rear wheels. So why does Ford feel the current Raptor requires an engine like this? For starters, why only utilize that supercharged V8 for a single vehicle? And second, Ram’s upcoming TRX pickup truck. This Hellcat-powered Ram 1500 is all but confirmed for production as it’s expected to debut sometime next year. And as we all know, the supercharged Hellcat V8 makes 700 hp. A truck horsepower war? Only in America. The only downside to the GT500-powered Raptor will likely be its price tag. The Raptor’s current base price is $54,450, which isn’t exactly cheap. Tacking on the options will quickly jack up the price by thousands. Don’t expect the supercharged V8 Raptor to cost anything less than $70,000 or so, if not more. Another question would be production count. Given its expected high price tag and the exclusive engine, we’re unsure how many examples Ford would end up building. On the one hand, keeping this super-Raptor limited would be appealing, especially for collectors. On the other hand, there’s money to be made and if there are enough willing to write Ford a check, then why not build as many necessary to satisfy demand? We’ll keep you posted whenever fresh details arrive.